Clear skies. Low 31F. Winds NNE at 5 to 10 mph..
Sarah Elizabeth Westphal died at home on March 21, 2019, ending a two-years long fight with a glioblastoma brain tumor. She was 68. Born July 21, 1950 in Michigan City, Indiana, Sarah attended Michigan City public schools, followed by study at Oberlin College, where she earned a B.A. degree, and then at Yale University, where she earned a PhD in medieval German literature. She taught at McGill University in Montreal, Canada, Duke University, The University of South Carolina, Rice University, and Washington University in St. Louis. During her academic career, she wrote and coedited several books, ranging from studies of medieval German manuscripts to studies of the history of women’s writing. Although she taught primarily in departments of German, her interests took her into new areas of the university curriculum such as gender studies, contemporary women’s writing and women’s legal status. A gifted teacher, she mentored many graduate students who now hold university professorships. She became an avid collector of antiquarian books written or published by women. Her collection, amounting to over four hundred volumes, includes women authors from the 17th through the early 20th centuries from Germany, France, Great Britain, the USA and Canada. She donated her collection to the Duke University Rare Book Library, which held an exhibition of select works in her honor in July 2018. Sarah traveled to Duke University in October 2018 to see the exhibition and to visit friends. 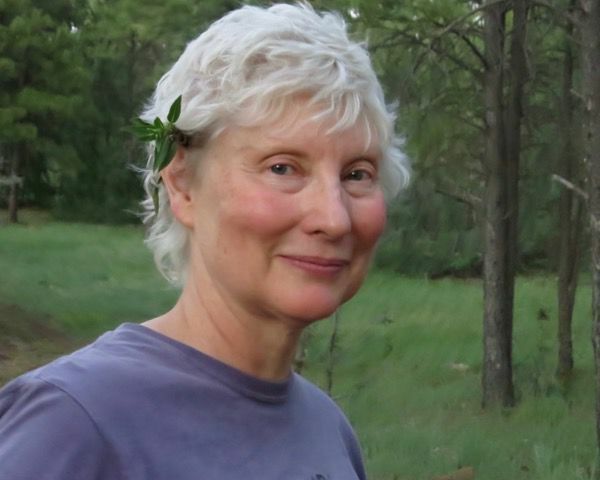 In 2012, Sarah retired from teaching and moved to Flagstaff, AZ. Starting out in Flagstaff, she enrolled in the docent training course at the Museum of Northern Arizona and the Coconino County Master Gardeners program. 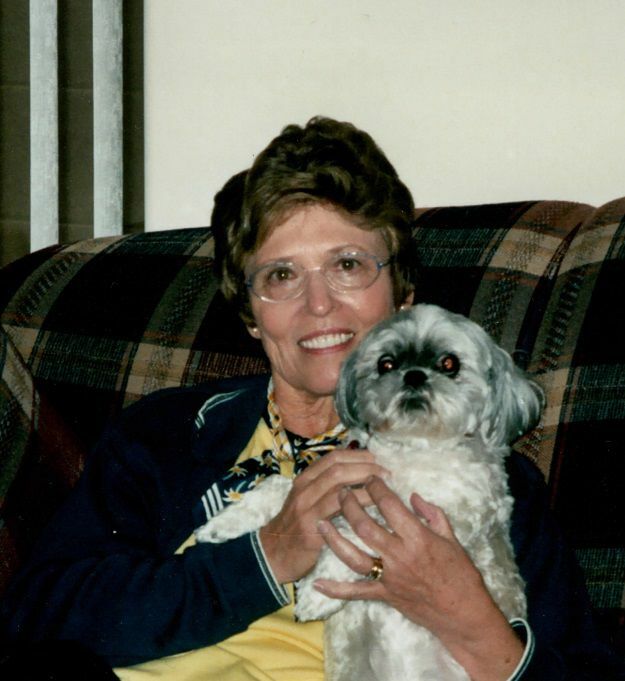 She was a member of the Northern Arizona Masters swimmer program and enjoyed weight lifting and pilates. She also volunteered for several years at Second Chance Center for Animals, where she enjoyed working with cats. She became an intrepid traveler to many distant and often out of the way places, including trips to China as the only passenger aboard an enormous container ship and to central Siberia in the winter to view tigers. She managed to accomplish this travel while also taking several art classes at Coconino Community College. Indeed, Sarah began an art career in Flagstaff, and even late into her illness she pursued this passion, exhibiting her work in the juried exhibition, Peace & Reconciliation, at the Art in Action Gallery at the Episcopal Church of the Epiphany. Sarah also studied Bob Dylan’s life and career and collected many albums, documents, cds and rare artifacts related to that famous Nobel Prize recipient. She is survived by her sister, Susan Barrie, and her brother-in-law, Robert Barrie, from Flagstaff, her niece, Wendy Ludlow, from Santa Fe, New Mexico, and her nephew, William Ludlow, from Denver, Colorado. A memorial service will be held at the Episcopal Church of the Epiphany, 423 N. Beaver Street, Flagstaff, Arizona on April 12 at 11:00 AM with a reception following at the church. The Episcopal Church of the Epiphany Flagstaff, Memo: Donation for Art in Action fund. On March 11, 2019, Mr. Beekman succumbed to complications of Parkinson Disease and Chronic Obstructive Pulmonary Disease. He was 73 years old. Mr. Beekmen was born in Flagstaff, Arizona, on November 25, 1945, to Richard and Dorothy Beekman. He attended Flagstaff schools. He served in active duty in the United States Army, from 1963 to 1966. He was a veteran of the Vietnam War in Company A, 54th Signal Battalion Corps. Subsequently, Kenneth was employed by the Arizona Highway Department, now A.D.O.T., from 1966 to 1996 upon retirement ,as a Civil Engineering Technician. Mr. Beekman is survived by his wife Deidre Beekman, daughter Elizabeth Flemons Salas, son Kenneth Beekman Jr., step-daughter Catherine Prescott, step-son Gareth Swan. His surviving grandchildren are Ashley Flemons, Zachary Prescott, Lauren Palomino, Alec Prescott, Jessica Beekman, Gabrielle Beekman, and Clayton Beekman. Surviving great-grandchildren are Madesyn, JamarJr.,and Denzel. He is also survived by Patsy Penton and Sandra Clarck , and his ex-wife Viola DeMiguel. He will be greatly missed by his extensive, loving family and many dear friends. In lieu of flowers, donations may be sent to Hospice of the Valley–Ryan House, or the Wounded Warrior Project. Memorial services are planned to be held at the National Memorial Cemetery of Arizona on Friday, April 12 at 10:30 a.m.